It is easy to find businesses that are for sale. You will find them advertised in newspapers that are published near where you live. Plus, you can find hundreds of them online on BizBuySell.com and other online listings of businesses that are for sale. 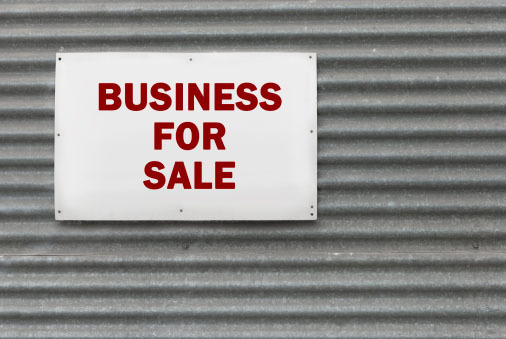 Just search online for “businesses for sale” and you’ll soon be looking at hundreds of them. The strategy is to find a business that is for sale and make a low offer for scrap that contains precious metals. After all, people who are selling businesses are usually under pressure to raise money. If that is the case, you have an opportunity to buy precious metals at below-market prices. Just remember that timing can make all the difference. Once potential buyers have started to examine the business or make offers, the company that is handling its auction or sale will be unwilling to sell off assets. Photo processing labs and x-ray facilities can have photographic paper, films and chemicals that contain silver. Jewelry stores, factories and repair facilities can have many sources of silver, gold and platinum that you can find in wire, soldering wires, unused findings and chains, and more. If you’re looking at a jewelry factory, remember that bench sweepings and even dust can contain precious metals. Welding and metal fabrication businesses can have unused welding rods, fluxes and other materials that contain silver, and even cadmium and platinum. Automobile repair shops can have used catalytic converters that contain platinum, palladium, rhodium and other precious metals. Look for unused welding rods too, which can contain silver. Medical testing labs can have unused quantities of catheters and other equipment that contain cadmium and other precious metals. Air conditioning companies can have thermocouples and other scrap that contains silver, platinum, cadmium and even gold. Electronics stores can have small electronic devices that contain gold. Businesses of all kinds have used computers, computer monitors and other peripherals that contain gold. To find out how to recycle your precious metals for top dollar, call Specialty Metals Smelters and Refiners at 800-426-2344.